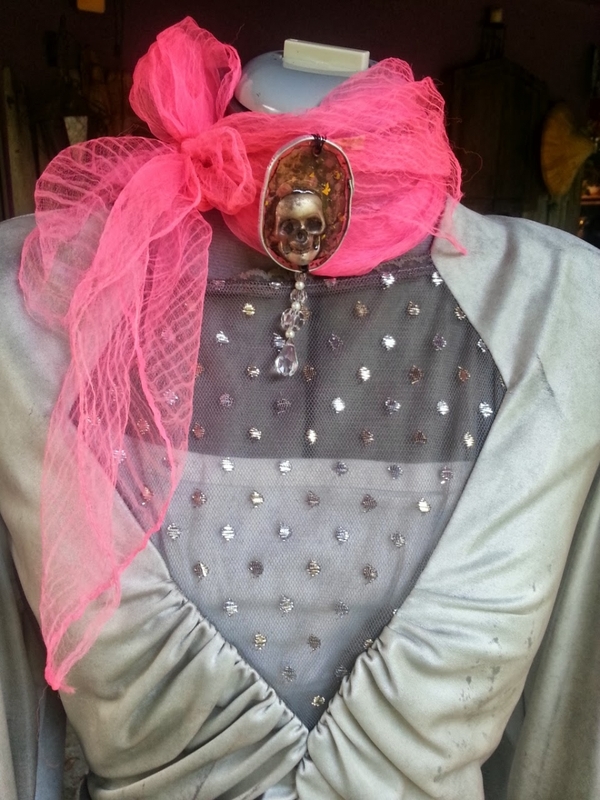 Here are photos of a scarf/ necklace I made for the Victorian Day of the dead ball. 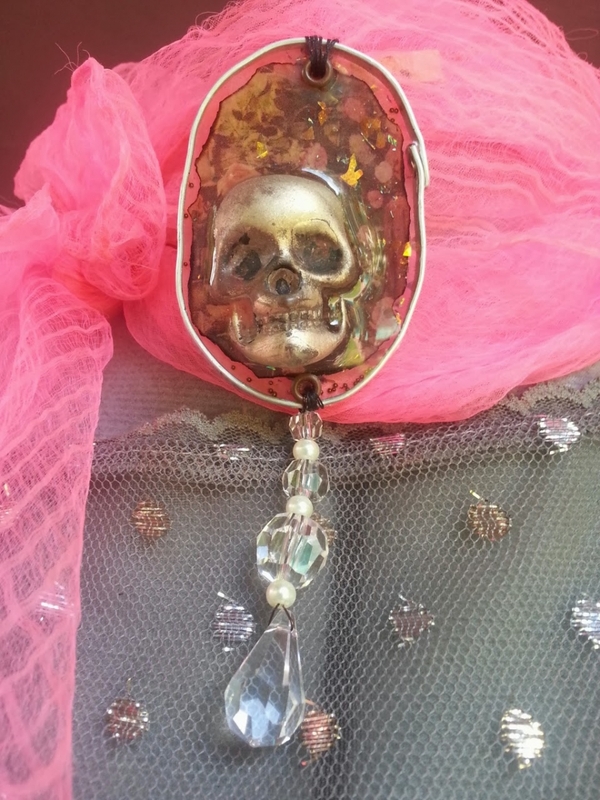 I cast the skull with Ice Resin and painted it, built a bezel and filled it with resin, floated Iced Enamels Fire opal within it. 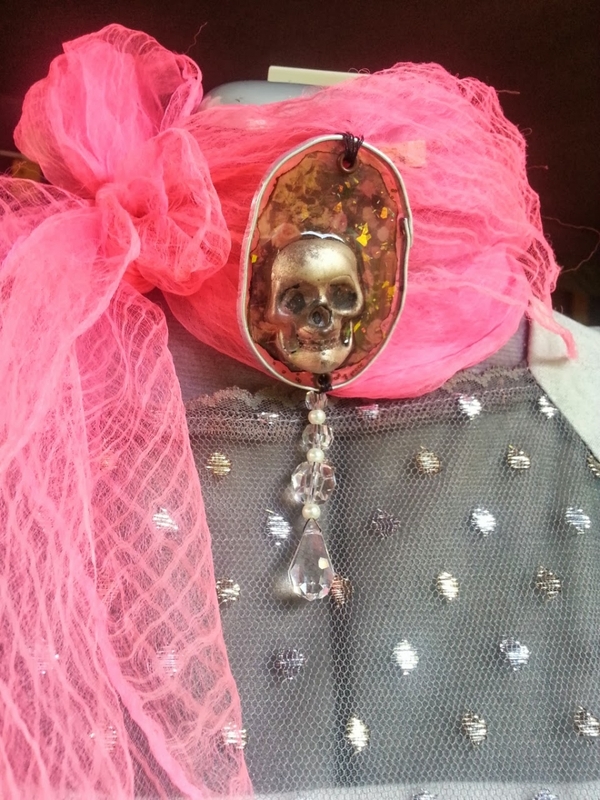 I attached the beautiful crystals supplied by Connie Crystal to a vintage scarf. I can't wait to wear it! The rest of the blog hop links are listed after the pics. Thank Cindy, I got to wear it last night!